Sandra is an actress auditioning for a prestigious Chicago theatre company, hoping for her big break. But there’s more going on behind the curtain of this particular theatre than putting on shows, and forgetting a line is hardly the most dangerous thing that can happen. A supernatural story of ambition, illusion… and murder. 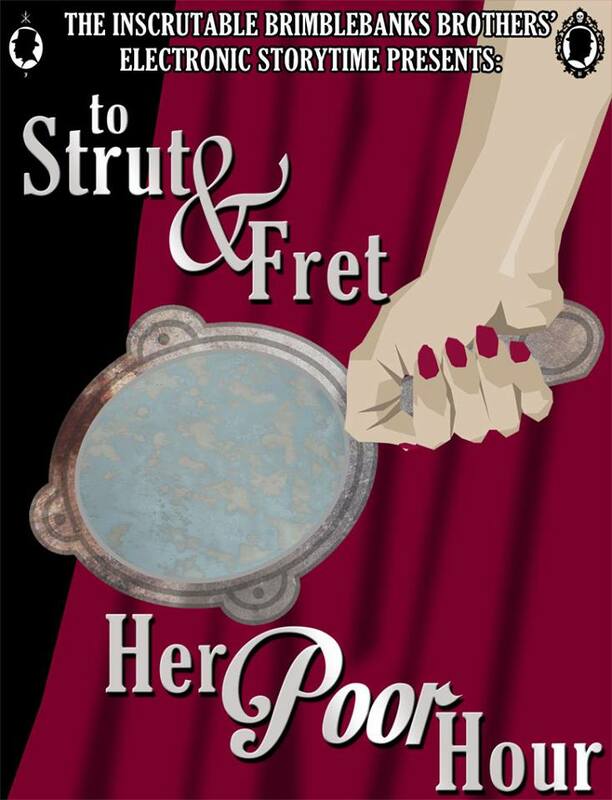 “To Strut & Fret Her Poor Hour” is written by Justin Vidovic. Starring Brodie H. Br ockie as Bentley Brimblebanks and Justin Vidovic as Jameson Brimblebanks. Sarah Elizabeth Grace as Sandra. Claire Fry as The Artistic Director. Colleen Stano Williams as Annabelle. Mitchell Ralston as the Assistant. And Brodie H. Brockie as Hedge. This episode’s commercial was The Barons of Stuttgart, written by Brodie H. Brockie and Justin Vidovic and starring Brockie, Vidovic, Catherine Nagy Wrighter, and Scott Longpre. Musical horn performed by Brandon Whitesell. This entry was posted in podcasts and tagged Brimblebanks Brothers, death, murder, podcast, spooky, theatre. Bookmark the permalink.